This entry was posted in Uncategorized and tagged geriatric medicine, gerontology, longevity, medicine, regenerative medicine by Ted Goldsmith. Bookmark the permalink. I believe most if not all aging signs and symptoms are the result of a pre-programmed process meant to limit lifespan to what is ecologically desirable. For me the best form of life-extension is youth -extension – or even rejuvenation. We have learned from studies of heterochronic transplantation (where an tissue/organ from an old animal is transplanted into a young one), heterochronic parabiosis (where young and old animals share a circulatory system) induction to pluripotency, and nuclear transplant studies, that old nuclei, cells, tissues and organs become rejuvenated by proper ‘signaling’ or when placed in a young milieu. We also know the blood supply is sufficient to provide the proper milieu for rejuvenation. So the best path to life-extension would be to regain youth and that seems to be the most feasible as well. Heterochronic parabiosis – and its more recent adaptation like HPE (heterochronic plasma exchange) has been shown to prevent or reverse aging changes. Harold I agree with most of what you say. Also do you think aging is entirely “pre-programmed” by which I assume you mean genetically determined. Or do you think the program can detect (sense) external conditions and adjust the genetically programmed senescence to accommodate local or temporary conditions? In other words is the aging program like other biological programs such as ones that control reproduction? 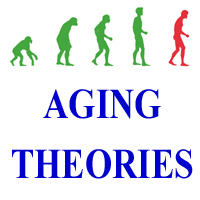 Is aging externally regulated? If this is true it offers more methods for contravening the aging program such as by interfering with sensing or simulating sensed conditions. The caloric restriction effect and the exercise effect could be clues that this sort of regulation is occurring.